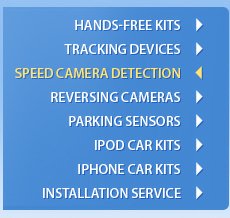 Mobile Safety Camera Alerts (incl. With the number of speeding cameras set to dramatically increase and accident data changing constantly, Blackspot Interactive are constantly working to verify new locations and delete obsolete ones. These changes are easily updated to your ROAD ANGEL with the supplied software. Subscription charges of £4.99 per month by Direct Debit, a minimum 12 month contract is required. Road Angel Professional Connected, guarding your life and livelihood. Please Note; vehicles with UV Reflect windscreens may need an additional antenna.